other areas of health which are near and dear to me and my patients. 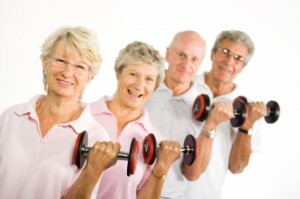 Bone health is one of those, and is an important component of your hormonal harmony. While many of the diseases I evaluate for and treat every day are not necessarily influenced by lifestyle, bone health is certainly one prime example of how lifestyle can make or “break” you, literally. 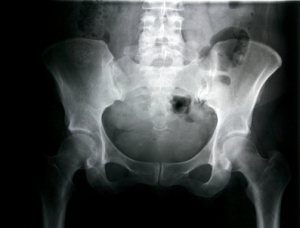 Osteoporosis, which means “porous bone,” is the most common bone disorder and is characterized by low bone mass, fragility, and increased risk of fracture which also increases risk of death thus prevention is the focus of these recommendations. We commonly think of post-menopausal women as those at most risk for osteoporosis, but men can be at risk too and everyone should live a lifestyle which will enhance bone mineral density in order to prevent the serious morbidity associated with osteoporosis. Here are my basic lifestyle recommendations I give to all of my patients who either have, or are at risk for, low bone mass or osteoporosis. I will provide a few references for those who would like to dig further, but will avoid an exhaustive academic exercise beyond the scope of this article’s purpose. The evidence for the simple lifestyle recommendations is strong and the 2010 American Association of Clinical Endocrinologists osteoporosis guidelines emphasizes this (1-5) “bone healthy lifestyle” for everyone including “babies, children, teenagers, young adults, and patients with osteoporosis.” These remain emphasized in the 2013 National Osteoporosis Foundation Guidelines. If you smoke, we must find a way to help you quit. If you don’t, don’t start! Probably less than 2 drinks daily for men and 1 drink daily for women. While we promote the benefits of coffee and tea, too much can be hard on your bones. Everyone is different, so how much is “excess” will vary and should be discussed with your physician. The actual amount you need depends on your size and activity level. Discuss this with your doctor and nutritionist. You may think that we recommend this for everything, and you may be right! Supplementation with some vitamins and minerals may be warranted but you should always discuss the risks and benefits of any supplementation with your physician. While the wave of vitamin D as the next health & wellness miracle is slowing down and supplementation by everyone regardless of vitamin D levels for bone health has been shown to be perhaps hasty, it is still obviously an important part of the foundation for bone health to prevent rickets, prevent or treat osteoporosis in those at risk, and at least 1500 to 2000 IU/day of supplemental vitamin D may be needed to keep 25(OH)D levels above 30 ng/mL per the Endocrine Society guidelines similar to recommendations for all adults over age 65 per the American Geriatrics Society. Previous observational studies and some tendency in interventional studies support the idea that vit D supplementation should benefit many aspects of health, such as CVD, but a recent review suggests possibly not thus we don’t give blanket recommendations for vitamin D supplementation. I will say though, that it is one of the few supplements I personally take on a regular basis. 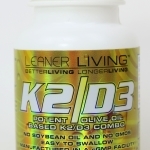 We felt the evidence was strong enough to formulate a combo K2/D3 supplement. Calcium and phosphorous metabolism is obviously crucial for bone mineralization and calcium supplementation has been a mainstay in treating post-menopausal women with or at risk for osteoporosis. While the data on bones is good (though bone/calcium metabolism is way better pre-menopause) there has been some controversial concern of increased atherosclerotic cardiovascular disease in recent studies, so I agree with the recent UK National Osteoporosis Guidelines and recommend optimizing dietary calcium (dairy) along with vitamin D supplementation if needed to augment serum levels and using calcium supplements if recommended by your physician. 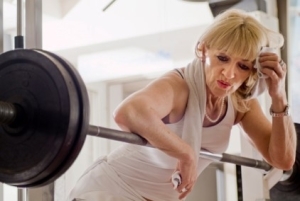 Strontium ranolate is approved for use in other countries for the treatment of osteoporosis and has been shown to improve bone mineral density in men similarly to the well established benefits in post-menopausal women. In the US there are other forms of strontium available for supplementation but due to little or poor data, I don’t recommend using it though I know several patients who supplement with it on their own. If you live in a country where it is available by prescription, discuss considering it with your physician. Due to the concern of a “western” acidic dietary load and adverse effects on bone, potassium citrate has been studied to counteract that and has been shown to improve bone mineral density in both elderly patients without osteoporosis and post-menopausal women with osteopenia. I don’t broadly recommend this to all-comers in my clinic, but there may be other reasons to use it and garner benefit which can be guided by your physician. So as with many of our recommendations, keep it simple and take baby steps towards improving your health. Many of these recommendations overlap with the things you need to do to be cardiometabolically well thus killing many birds with the same stones. For more specific questions, please open the floor on our facebook page for discussion!